Watercooled 6-cylinder inline engine with turbocharging and charge air cooling. 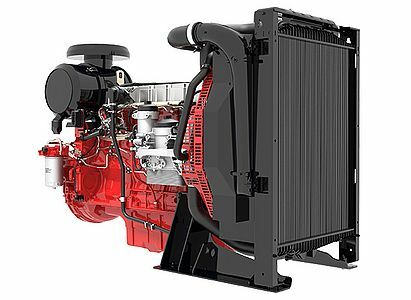 Wet cylinder liners, long oil change intervals and easy changing of the engine fluids reduce the running costs and increase the availability of the machinery. Air filter and cooling system are fully pre-assembled. Best cold starting performance even under extreme conditions. The TCD 2013 meets the requirements of EU Stage IIIA.